Sometimes you need to take your Vitabri AirDome to places where the ground won't allow staking, such as a parking lot, so we designed ballast weights to make sure your canopy will still stand tall and secure in the heaviest winds. 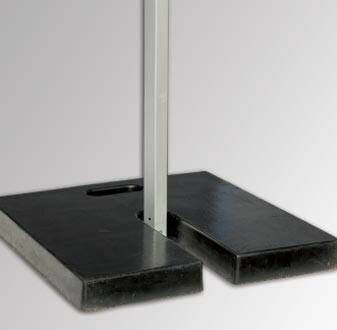 Our Vitabri rubber weight will anchor your AirDome down when erected over asphalt and cement surfaces. Simply secure the 30-pound weights to the corners of the canopy and move on to other, more important things. Ideal for outdoor use in large parking lots or street events, Vitabri wants customers to know that their canopies can be used anywhere, anytime.